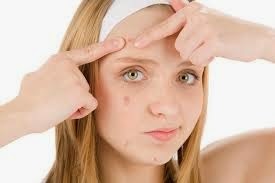 Skin is most sensitive part of male or females, so we must care our skin from pimple marks. Now we will try to provide you best pimples care tips in Urdu, health tip and much more. Wash your face daily with a mild cleanser and warm water. Wash your face whenever you feel its getting oily. Do not apply make-up on skin that is prone to get blackheads. Avoid using bar soaps. Excess moisturizers can cause increase in oil on your skin. Try using a different and clean towel to wipe your face. Always maintain a separate towl one for your face and the other one for your body.